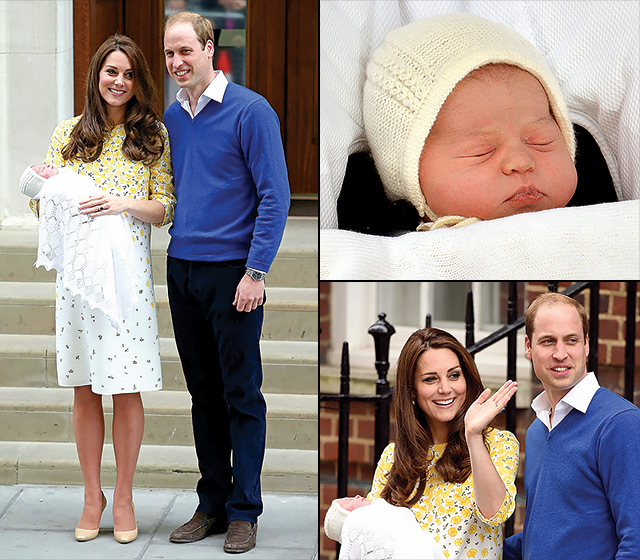 » MH NEWS: WILLIAM AND KATE PRESENT ROYAL BABY PRINCESS! 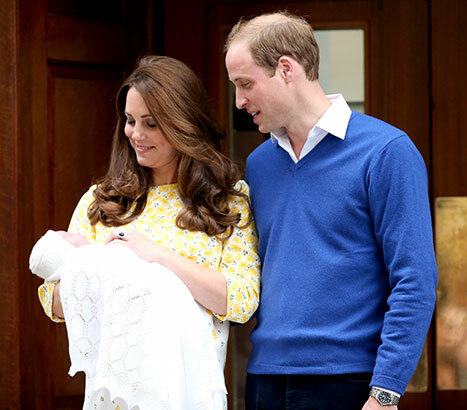 Kate Middleton and Prince William introduced the new Princess of Cambridge on Saturday, May 2. The happy parents stepped out together with their new baby girl in tow outside of the Lindo Wing at St. Mary’s Hospital in London. 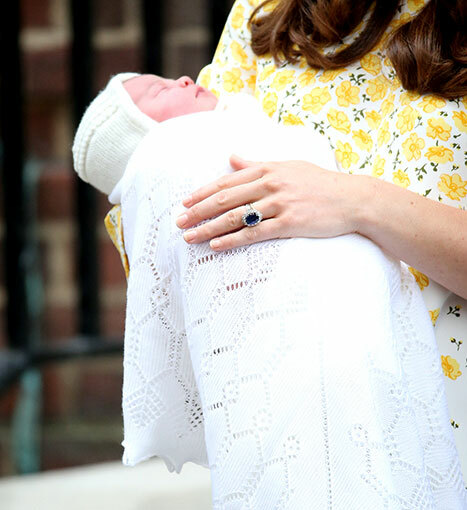 They have yet to announce the princess’ name, but she was revealed to revelers outside of the hospital. Middleton looked beautiful with her daughter in her arms. Her long brunette locks were as gorgeous as ever, as she was visited by her hairstylist Amanda Cook Tucker just hours before. She wore a patterned white-and-yellow floral Jenny Packham dress, while Prince William was in a blue V-neck sweater over a collared shirt. The tiny princess was swaddled in delicate white fabric. The Duchess, 33, checked into the hospital on Saturday morning with the Duke, 32, by her side. She gave birth to a little girl, weighing 8 pounds and 3 ounces, soon after. The new royal baby already met her big brother, Prince George. The 21-month-old tot arrived at St. Mary’s a little after 4 p.m. local time in London. Prince William stepped away from his wife and daughter for a brief moment in the afternoon, going to retrieve his son from Kensington Palace. 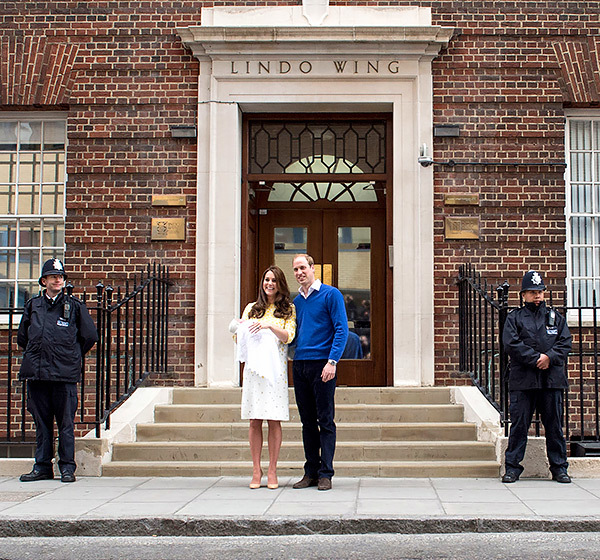 Prince George made his own reveal outside of the Lindo Wing on July, 23, 2013. The Duke and Duchess stepped out at the time with their first royal baby, presenting the little one to fans and members of the press. The royals introduced George in coordinating blue outfits, with Middleton in a blue-and-white polka-dot dress and William in a light blue collared shirt.